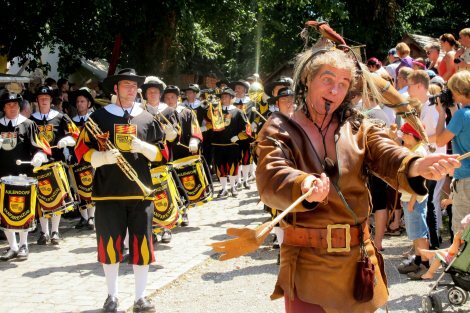 Here are some more photos from the Kaltenberger Ritterturnier (Kaltenberg Knights' Festival) from 2011. The festival this year was great, seriously the best I've seen. 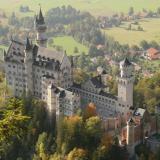 You can find my report on Kaltenberg 2011 here. 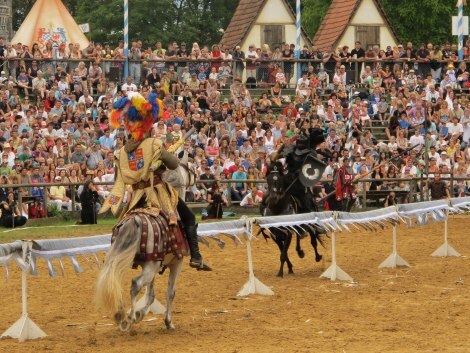 My main report on the festival is here: Kaltenberg Knights Tournament. 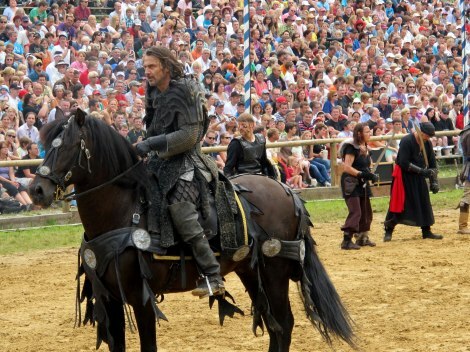 BAD BOY: The Black Knight is always a crowd favourite. 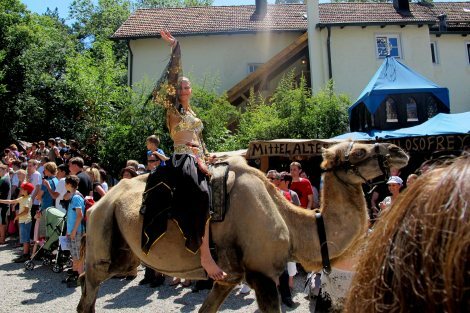 RIDING HIGH: A camel girl takes part in the Kaltenberg 2011 parade. 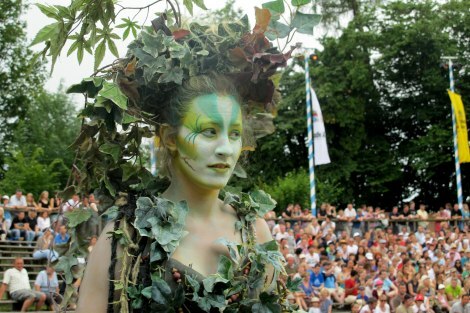 TREE ME: A tree-lady creature at the middle-ages festival. 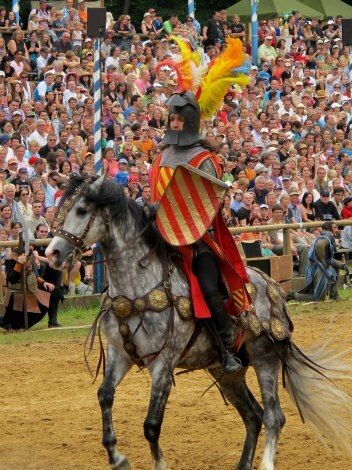 JOUST: The roar inside the arena is fantastic when the knights clash. 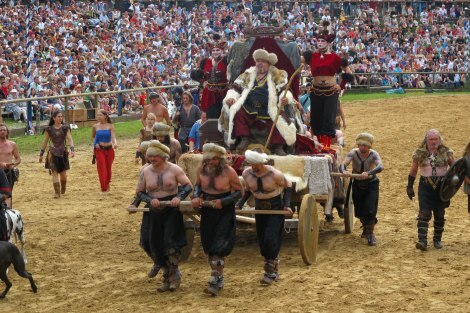 LEAD ON: A jester leads the Kaltenberg parade. THE WRATH OF KHAN: the Mongol leader bequeathes his army to the Black Knight. KNIGHT: Lancelot prepares to take on the Black Knight.